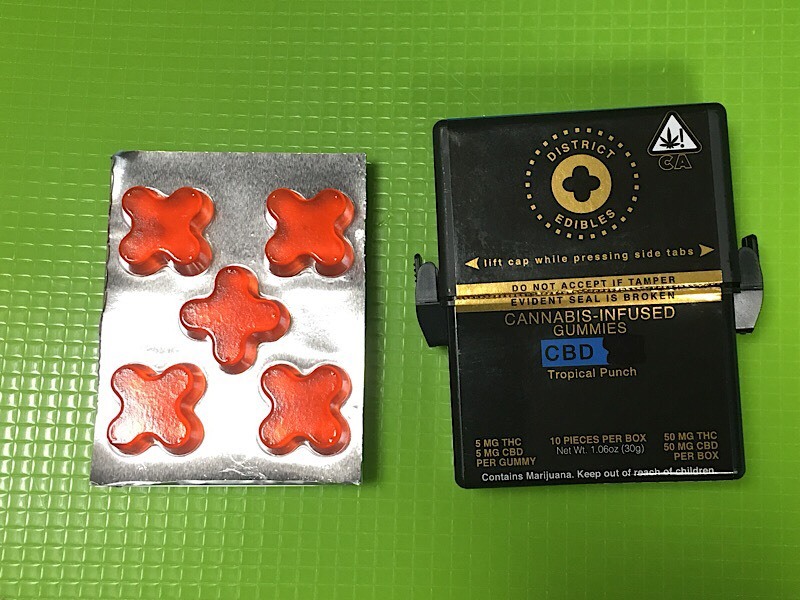 Effects - I took 4 pieces which is 20mg THC/20mg CBD and the effects started 1hr and 20min in. The flavor is nice as usual and this company seems to make really spot on, good tasting gummies throughout their line. 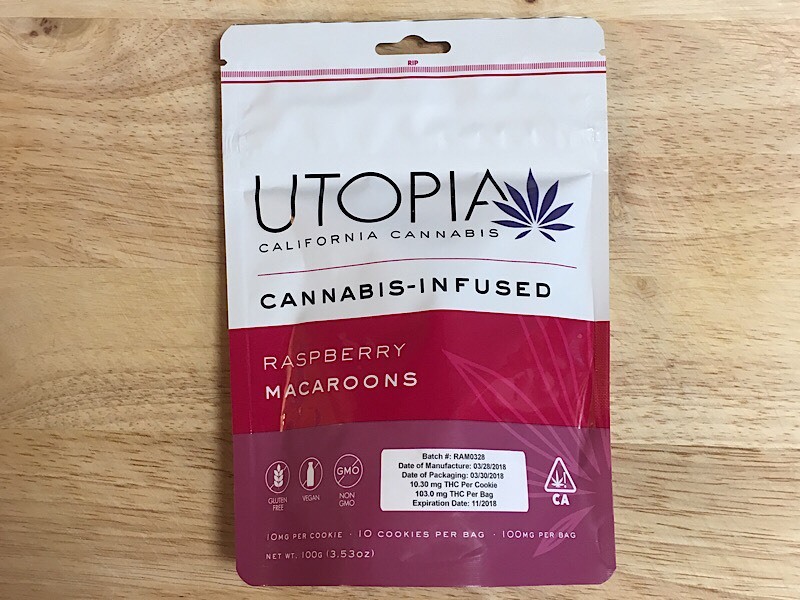 I was expecting these put me to sleep given the 1-1 CareByDesign tincture does and it’s also a similar formula, though probably a different strain. While this didn’t put me to sleep, it did make me feel pretty relaxed. It was that kick back, quiet but will talk if someone else initiates it type of high. As for sweat control, this did work pretty well and I would say does better than the Indica Blue Raspberry one. If you’re looking for sweat control, I’d say go with these or any of the Indica ones they have. Duration - Kicked in 1hr 20min and lasted about 2 hours. Effects - I took two pieces which is 20mg and the effects started 1hr and 20min in. The flavor is nice and the gummy is really soft as well. The effects of these ones were a little Sativa like in the sense that it makes me talkative. This also made me pretty thirsty and also gave me some very red eyes. I would say that it's also relaxing too, and maybe something similar to a strain called Blueberry Yum Yum, but not as energetic. The sweat control on these are better than the Cherry Chola ones, lasting about 1-2 hours but more consistent. Duration - Kicked in 1hr 20min and lasted about 1-2 hours. Effects - This one hit in the usual time, 1hr 20 minutes and lasted about 1-2 hours for effects. I took two pieces which is 20mg and felt a little energetic, but it also makes me a little anxiety. The type of anxiety where I feel anxious about things for whatever reason. As for the taste, it was spot on to the flavor of a cherry soda. The gummies also stayed really soft because of the great packaging for these. As for the sweat control, I would say its better than others but it doesn't seem to last that long. Also, on one occasion it didn't work at all and not quite sure what happened there. I will say that if you read my posts a lot, you know Sativa don't seem to work as good as Indica or Hybrid for sweat. Other than that, these are really good and worth a shot to see if it works for you. Effects - I had 35mg of these and even tried more but never really felt any high. The only high felt was maybe in the body and lasted only 20 minutes. This has absolutely no control for sweat. This also didn't taste like much, maybe more like sugar pills and I pretty much think they were at this point. Sorry for making this sound so horrible, but it just was. I would never buy this or recommend it to anyone. Effects - These were moist but the taste was a little not to my liking. 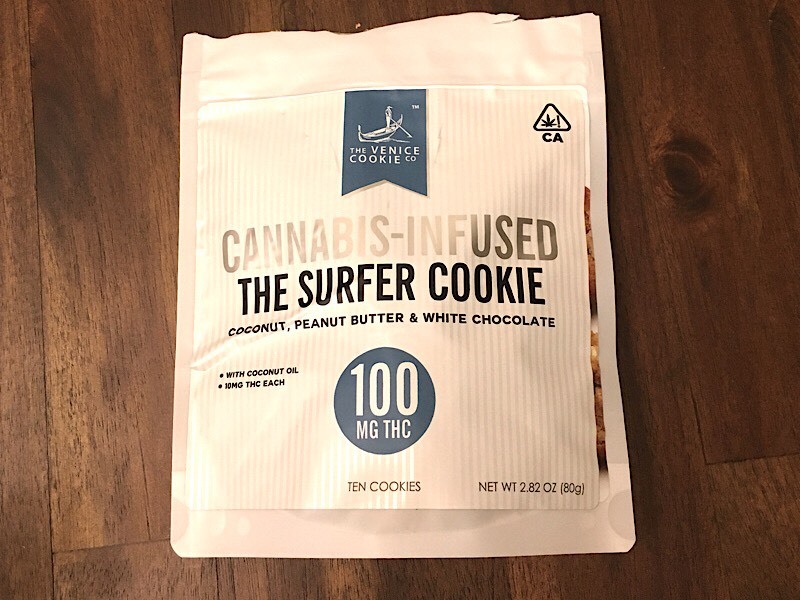 I think maybe its the texture or something, but it didn't taste of cannabis at to me, so that is a plus. The effects of these didn't seem to jive well with me. I did feel some body high and face high, but I felt... odd. I felt like this made me indecisive and feeling slightly annoyed if that makes any sense. It wasn't my mood either, it was just how I felt while on this. Also, it seemed to take 2 or 2 1/2 pieces (20-25mg) in order for me to feel the high and effects. As for sweat control, I'd say that this was ok. It lasted 1 hour and seemed to be hit or miss. Duration - Kicked in 1hr 20m and lasted 1 hour. Effects - This is the first Select cartridge I have tried and they infuse terpenes in here it seems. This is definitely different than anything else I have tried, not that I am a big consumer of these in the first place though. This is way more flavorful and tastes pretty nice. I will say that because of the terpenes, its a little harsher in the sense that it seems to really infilitrate your senses/lungs, or maybe I'm just not quite up to par. The effects hit really fast and seemed to take effect in about 7 minutes or so. You definitely feel the energy from this strain and I feel it primarily in the face and eyes. This strain makes you feel like doing anything. Everytime I've tested it, I want to "do" something, anything just as long as we're moving and having fun. For sweat control, it doesn't do jack from my testing. I mean, at best it lasted 20 minutes before going away. So I guess if I were at home and need to get something done, this is exactly what I'd need. I don't care if I am sweating in the comfort of my own place. Duration - Kicked in 7 minutes and lasted 2 hours. 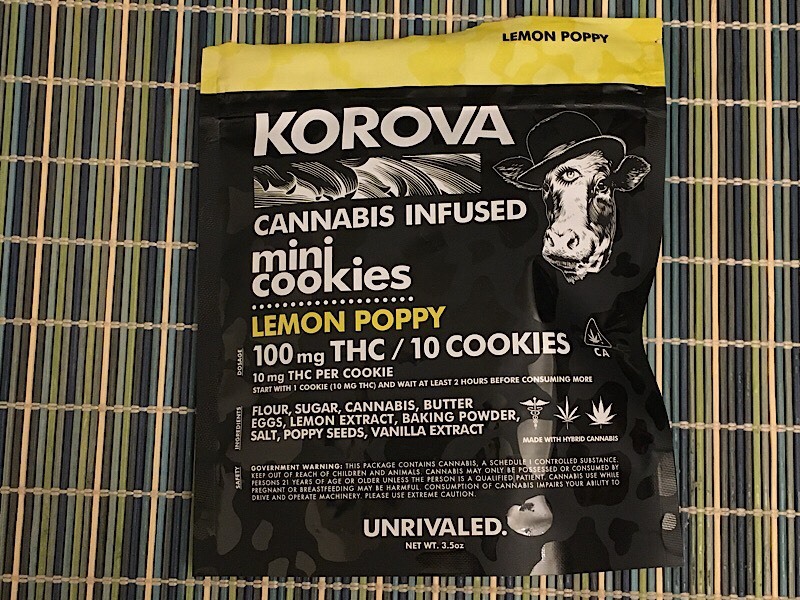 Effects - These cookies were small but decently sized, however they were a bit dry. I ate 15-20mgs of cookie and the effects started at the usual 1hr 20min. The effects are felt in the face but leave me clear and operational. However, eventually I would be a little anxious and paranoid about things. It also made time go by very slow, which is where I got anxious about how long we'd been somewhere, or if we're running behind on something. The sweat control was good and it lasted about 2 hours though, which is good. I would say to give these a try for sweat as everyone is different and reacts differently so you may not have the anxiousness or paranoia. Duration - Kicked in 1hr 20m and lasted about 2 hours. Effects - This strain was nice and actually out of a pre-roll which was emptied into my Pax to vaporize. This sweat control for this one wasn't that great, only lasting 1hr. The high wasn't that strong at all with nothing really felt in the head or the body. The effects I felt overall was just feeling relaxed and at ease. I guess being a Hawaiian themed pre-roll that makes sense, so if that's what they were shooting for they nailed it. I don't think I'd use this strain to smoke for sweat control, but I wouldn't pass on it if it was around. Duration - Kicked in 10 minutes and lasted about 1 hour. Effects - The effects of these were the same for the tincture and I am guessing they use the same oil. This kicked in 1hr 20mins just like usual with me having a great sleep for 2-3 hours and having it feel like 8hrs. You can read the CareByDesign Tincture review for more details if you want. The only difference is that I did try this out for sweat and it seemed to work for about 1 1/2 hours, which isn't bad, but I did feel pretty sleepy. I wouldn't use this out in public given how tired I get. Other than that, this are just as great as the tinctures. Duration - Kicked in about 1hr 20min and lasted for 2 hours.